Need For Different Size or Shade?? 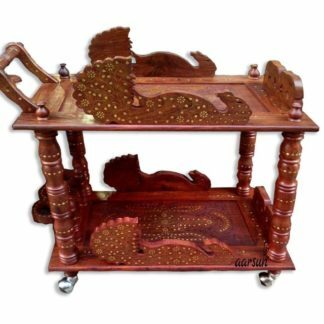 Aarsun woods bring to you the handmade wooden Sheesham wood service trolley with beautiful carving done by our skilled artisans.The unit consist of two level where you can place your eatables and serve them to your guests. 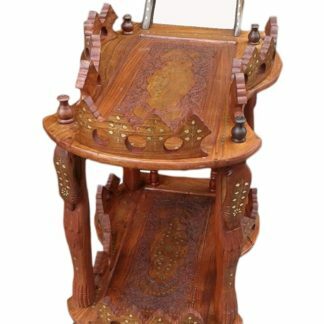 the trolley is in very traditional look and add more traditional touch in your home. 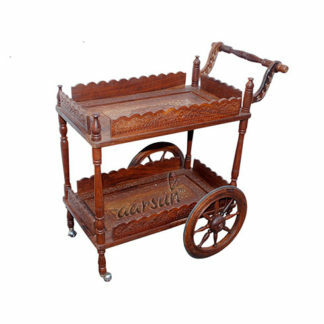 Wooden trolley is best suitable for your home and you can move it anywhere as there is wooden handle and wheels. there is garland area at both the levels and one can handle service trolley very easily.